The SÄBU modular design makes you reach your goal within short notice. 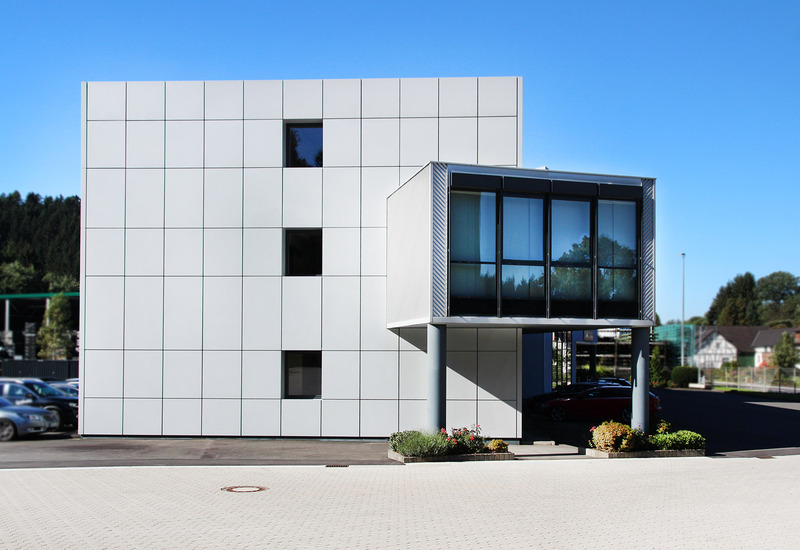 With more than 90 years of experience in modular construction the SÄBU modular design does not differ from a conventional building regarding its visual or energetic characteristics. The evident advantage is the time saving of the construction phase, because the prefabrication of the single modules at our facilities and the technical equipment and preparations on site like the foundation work, are carried out at the same time. The fabrication of your building takes place independently from any weather influences in our fabrication halls. 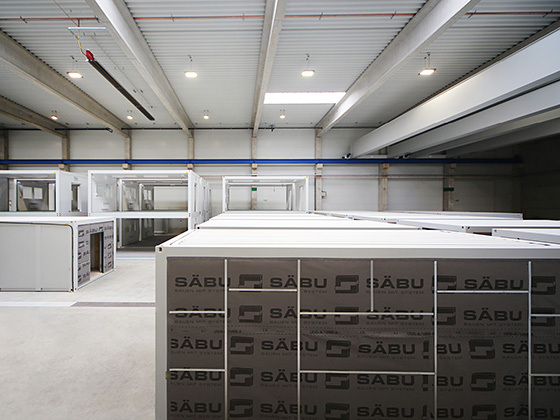 While frost is likely to stop the process of a conventionally built unit, the SÄBU production of modules is running at full capacity and your building will be ready for occupation within a few months only. You are planning a new office and administration building or a vertical or horizontal extension of your already existing office building? 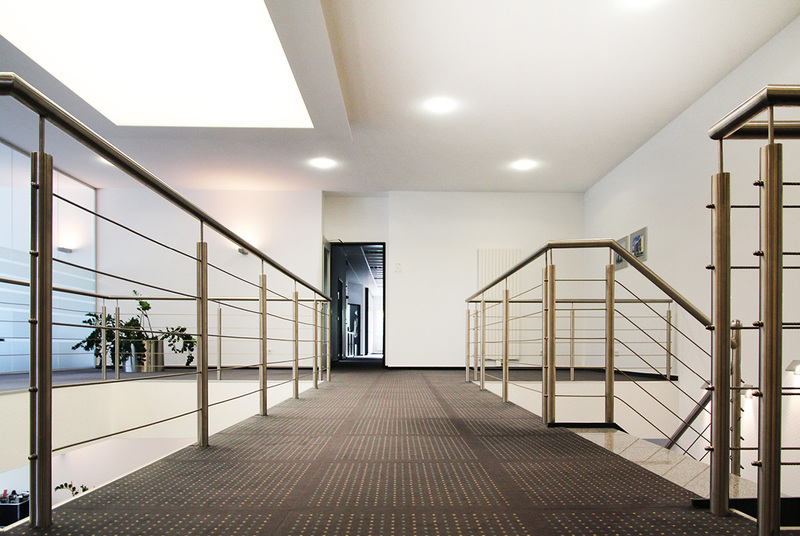 You need more office space within short notice? The SÄBU modular design is specialized in fast and flexible construction. However different the industrial sectors and the architecture of each building facade and interior may be, our architects and engineers will plan an office and administration building according to your individual requirements with particular focus on your corporate identity and your wishes. In short: we turn your building into your figurehead. Efficiency, economy, flexibility and promptness are just a few of the outstanding characteristics of SÄBU modular design. Municipal real estates like kinder gardens, day care centres, schools, canteens and university buildings need special attention regarding planning and execution. Thus, the SÄBU modular design department takes every municipal building as unique and plans according to the latest requirements like for example those of the “Deutsches Institut für Normung” (DIN – German Institute for Standardization). Clinic buildings, dialysis centres, operating units, medical practices and nursing homes: the SÄBU modular design convinces by its long time experience in clinic construction, in the planning and fabrication of medical facilities like operation units, clinics, laboratories, hospitals, nursing homes and retirement homes. SÄBU plans and fabricates all modular building with careful consideration of hygiene and safety, as well as all legal and health relevant guidelines and standards. It goes within saying that individual functional and visual customer requirements and wishes will be implemented for new buildings as well as for extensions. Since 1995 SÄBU is a strong supplier of shop buildings for petrol stations. All over Europe more than 300 fuel station shops as well as service areas from 140 m² up to 495 m² were built. The degree of prefabrication of the modules at our facilities reaches up to 95%, before delivery to the construction site by land, sea or air. The standard façade cladding is made from sandwich elements. Of course, alternative façade claddings can be implemented according to your wishes.